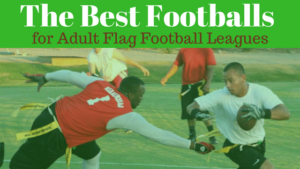 Find the best flag football adult leagues, pickup games and tournaments in the state of California. 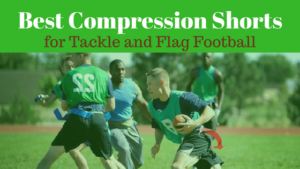 Below you’ll find the top up-to-date for 2019 list of fall, winter, spring and summer, indoor and outdoor local flag football leagues, pickup games and organizations that offer tournaments, organized from the highest to least populated cities and towns in CA. GotFlagFootball.com brings together the recreational and competitive local California flag football community of organized leagues, city recreational leagues and pickups in one list (in alphabetical order), so that it’s easy to find a game near you. Los Angeles Flag Football, founded in 1989, offers LGBT athletes and competitors Fall and Winter league and additional tournament play opportunities. LAFF offers inclusive pickup games and clinics, as well. 7 on 7 and 5 on 5 adult leagues are available to full teams and also to free agents looking to join a team in seasons throughout the year. TUFF League, which stands for “The Ultimate Flag Football” League, offers four seasons of flag football in two locations in the Los Angeles area, Mid City and Valley. Statistics, ranking and league records are kept from season to season, year to year. The league is tabbed as highly competitive. USLA is a Los Angeles based sports league, founded in 1999, which offers adult flag football to organized teams and free agents, amongst other fitness activities. The format is 6v6 and is co-ed. ZogSports is a social sports league, founded in 2001, which offers leagues in multiple locations, and on multiple days, in the Los Angeles area. Flight Action Sports flag football began in 2009. FAS offers multiple division leagues in 6 v 6 forma throughout San Deigo County year round, on both grass and turf. There is a county championship tournament, All star tournament and statiscal tracking. San Diego American Flag Football League, aka SDAFFL, is a premier flag football league in the San Diego area, offering 7 v 7 format. Teams for the league are picked using a draft system. Established in 2004, SDAFFL strives to make a social impact in the LBGTQ community through sports. VAVi offers adult co-ed flag football in multiple locations around the San Deigo area. Skill levels include, “Recreational”, “Varsity” and “Allstar” in 7 v 7 mens, 7 on 7 co-ed social and 8 v 8 co-ed. X Flag Football, based in San Deigo with locations across the country, was founded in 2007 and is the “only league for players by players, spanning coast to coast”. XFlagFootball offers 8 v 8 and 5 v 5 leagues, year round. Mens adult Flag football is played multiple seasons through the year, on a highly rated indoor field. Founded in 2008, Play in the Bay Sport and Social Club provides adult flag football (in addition to other recreational sports) on multiple days and locations around the San Francisco area throughout the year. San Francisco Flag Football was founded in 2011 via the Meetup website, as primarily a pickup group which plays at Silver Terrace each week forpickup games of co-ed flag football. SFGFFL, which stands for San Francisco Gay Flag Football League, offers residentsof the LGBTQ community an inclusive opportunity to join or form a team to play in a league which runs multiple seasons each year. Additionally, tournaments are available. San Francisco Womens Flag Football League is the only league in the Bay area exclusively for women, offering an outlet for women who want to play competitive and fun flag football. They offer a Spring season starting in March and also run Fall/Spring. Check out their Facebook page for additional info! Gridiron Gamers Football is a competitive organized adult flag football league and tournament provider in the 8v8 mens format, offering multiple seasons each year in the city of Sacramento. Beach Football Long Beach is an 8v8 beach oriented Flag Football league in Long Beach, California for adult men and women. This version of the sport is played exclusively on the sand. The parks and recreation department of the city of Long Beach, California offers organized adult flag football season multiple times per year. LBSSC features co-ed flag football leagues and tournaments for women and men on a sand style 8v8 format. Long Beach Sport and Social Club is for social mixing and athletics. The parks and recreation department of the City of Anaheim organizes an Adult Flag Football League multiple nights of the week at different locations. 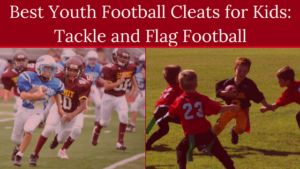 There are several seasons of flag football offered. Free agents are welcome. OC Flag Football group was founded in 2014 as a Meetup offering weekly pickup games each Saturday of flag football for men and women over the age of 18. They are self-described as casual but still competitve style of play. 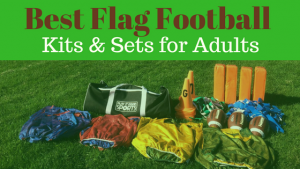 1st and Goal offers adult flag football in a recreational format. They play 5 man non-contact, two seasons per year. Ages 18+ with 17 year olds being allowed to join with a waiver signed by a parent. Seasons consist of 8 regular season games, then playoffs and championships. 1st and Goal Flag Football seasons run February through March and June through July. Teams and individuals both are welcome. Beach City Sports was founded in 2011 and offers a variety of sports including flag football on the beach in a co-ed format. The league offers a social and recreational style of play for both men and women in the Long Beach area, as well as other locations in California. Dynamic Sport and Social Club offers flag football in 6v6 and 8v8 mens and co-ed leagues throughout the year in an indoor arena. Flash Flag Football fosters competitve mens flag football play in the Bay area through multi-divison 4v4, 6on6 and 8v8 format leagues. Tournaments are offered. Gametime Adult Flag Football was founded in 2011 as an adult recreation 5on5 flag football league. Gametime offers individual stat tracking and highlight videos. One league is currently in Pomona. The parks and recreation depart of the City of Alameda offers adult flag football to residents and non-residents in order to participate in league play multiple seasons throughout the year. 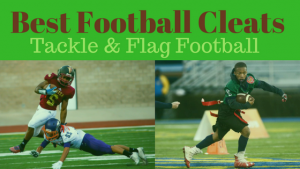 Walnut Creek Flag Football is an organized adult flag football leauge with games held in mulitple seasons throughout the year in a 5on5 format. The parks and rec department of the city of West Sacremento hosts an adult flag football league in multiple divisions, several seasons each year. Top Gun, founded in 1995, is the self-proclaimed ‘best in the West’ recreational league, which offers a 5v5 format with tournament play throughout North and South Los Angeles County. Individual player statistics are tracked, offering a unique aspect to the game. City of Brea Flag Football offers 5v5 mens flag football, all eligible receivers, several seasons per year. Top Gun Flag Football is touted as one of the biggest leagues on the West Coast, offering competitive 5v5 format with hundreds of teams, individual player statistics and tournaments, plus multiple locations from San Diego Couty and across California.